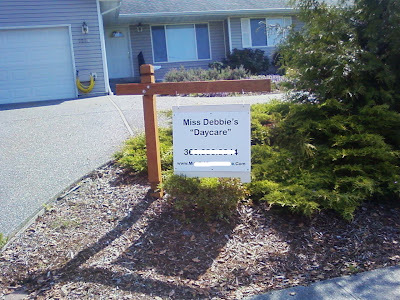 The “Blog” of “Unnecessary” Quotation Marks: days and days care? I don't know what goes on inside Miss Debbie's. Does she have a gingerbread house out back? Thanks, Nancy. I will be sure to remind my family members not to send their "kids" to Miss Debbie's because it seems something amiss is going on. haha. Could it be just a REALLY big family (like N Suleman's or something) and the woman just doesn't want anyone to know they're all hers?